Petra Kvitova and Caroline Wozniacki moved into the last 16 of the Miami Open as world number one Naomi Osaka was stunned on Saturday. 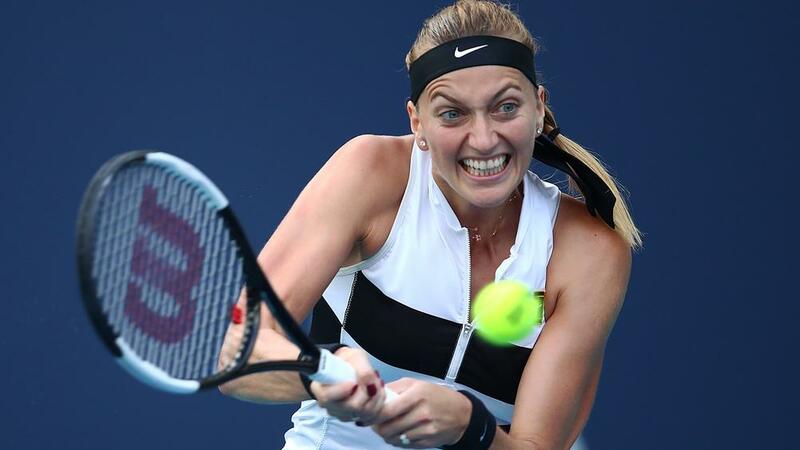 Kvitova was tested before getting past Donna Vekic, while 2017 runner-up Wozniacki was also challenged in the third round. It was a good day for the seeds at the WTA Premier event, but not so for Japanese star Osaka. The two-time grand slam champion fell to a surprise loss to fellow seed Hsieh Su-wei. Kvitova survived a huge test against Vekic, progressing thanks to a 6-4 3-6 6-4 victory. The Czech third seed lost to Croatian Vekic when they met in St Petersburg earlier this year, but a single break in the final set proved decisive. Wozniacki is well-placed for another deep run after overcoming qualifier Monica Niculescu 6-4 7-6 (7-4). With Osaka's shock loss, the top half of the draw has opened up for Wozniacki. Osaka had won her previous two meetings with Hsieh, but the 33-year-old claimed a surprise 4-6 7-6 (7-4) 6-3 win. The 21-year-old Osaka was up a set and a break, only to give up her advantage before losing four straight points in the second-set tie-break. Osaka took a 2-0 lead in the decider, but lost four straight games from 3-2 up to make an early exit. Indian Wells champion Bianca Andreescu is in red-hot form. The Canadian teenager extended her winning streak by beating Angelique Kerber 6-4 4-6 6-1 for her 10th straight victory in what was a repeat of the Indian Wells final. Anett Kontaveit, Caroline Garcia, Ashleigh Barty and Kiki Bertens were also among the winners on Saturday.